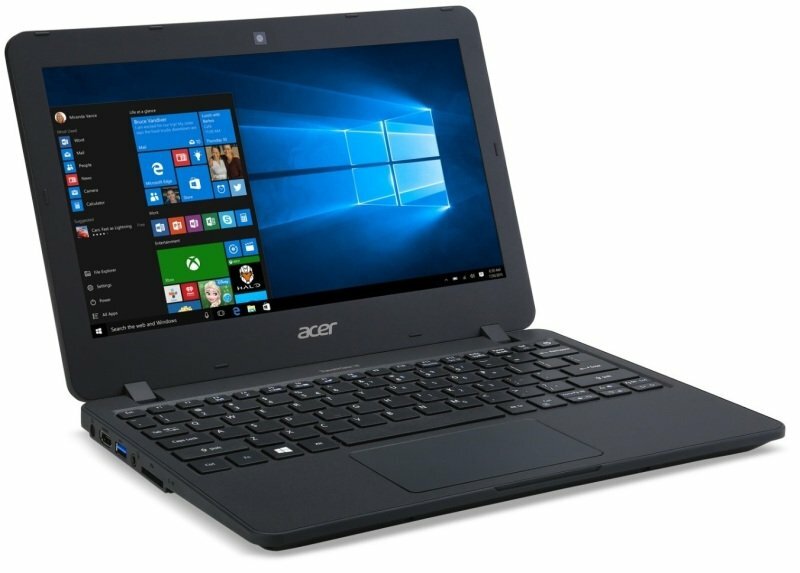 Acer TravelMate B117-M Intel Pentium LaptopSorry, this product is currently out of stock. With its beautifully vivid, wide viewing angle IPS display and its compact screen, the TravelMate B1 is ideal for children to carry around and use in classrooms. The HD 11.6" displays provide students with the ability to watch educational films with exceptional clarity to see the subject matter in even more detail. Built to survive any school day. This device comes with a pressure-resistant screen, spill-resistant keyboard up to 330ml of water, shock-absorbent rubberised bumper and 122cm drop protection, so it can withstand lockers, lunch rooms, backpacks and buses. The TravelMate B1 offers undeniable durability strictly tested under U.S MIL Standards1. Individual tests include: High and Low Temperature (-32oC-49oC), Mechanical Shock testing up to 122cm, and Vibration testing at 7.7gs per axis. The TravelMate B1 has been designed to keep working during 13-hour days2. A choice of next-generation low-power-consuming Intel® Pentium™ or Intel® Celeron™ Processor with improved graphics and a range of flexible storage options including eMMC, fast SSD and HDD storage, chosen to be able to provide the compact device with an excellent combination of power and performance. Voice communication can enhance the learning experience for both teachers and students. Cortana Intelligence Assistant enables teachers to receive voice notifications whilst communicating with the class, and students can search for or be given detailed instructions through Cortana whilst they're busy typing or using their hands to mix materials for science experiments. Faster content delivery is key to a successful modern classroom. In order to quickly send material to students or the whole classroom working on the same software, the TravelMate B1 comes with blazingly fast dual-band 2x2 MIMO 802.11ac Wi-Fi. Other ports including one USB 3.0, one USB 2.0 and a full-sized HDMI and RJ-45 also speed up data delivery.